Hollywood has always loved lawyers. For decades, many fictional lawyers have graced the silver screen. From Atticus Finch in the classic 1962 film To Kill A Mockingbird to Elle Woods in the blockbuster hit Legally Blonde, some of our favorite fictional characters are members of the bar. Other great legal films include 12 Angry Men, My Cousin Vinny, and Philadelphia. 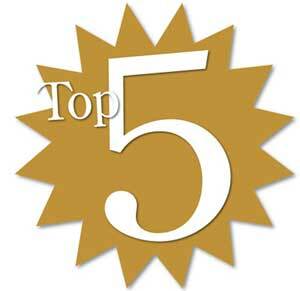 There have also been a number of well-loved television series featuring attorneys. One of the longest-running television series of all time, Law & Order, chronicles police, prosecutors, and defense attorneys in New York City. The lives of high-powered attorneys are fodder for shows like Boston Legal, Ally McBeal, and The Practice. We even have tongue-in-cheek depictions of lawyers on shows like Franklin & Bash. And Saul Goodman of Breaking Bad even has his own website. Lawyers and judges have also been featured on stage. Some of the most critically-acclaimed plays of all time involve the law. David Mamet’s Race depicts a ruthless lawyer, played during a run in New York City by Jason Priestley. And Legally Blonde The Musical has enjoyed great success during its time on Broadway. There is one thing that many fictional lawyers have in common – good looks. In this post, we name some of the most attractive fictional lawyers of all time. Perhaps some of these characters worked their finer features to win cases. But regardless, we can all agree that the lawyers in this post are easy on the eyes. Do you have a crush on a fictional lawyer? Post a note about him or her in the comments below. Elle Woods used her charm (and outstanding LSAT score) to gain admission to Harvard Law School. There’s no doubt that Elle has a brilliant legal mind – she wins a high-stakes criminal trial for a client as a law student. But we can’t help but notice that Elle (played by Reese Witherspoon) is beyond beautiful! 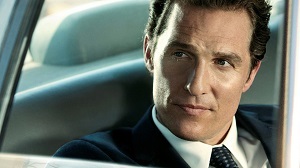 Matthew McConaughey plays the dashing Mickey Haller in the 2011 film The Lincoln Lawyer. Haller is a criminal defense attorney who practices out of his black Lincoln Town Car in Los Angeles. He lands the case of his career when the son of a wealthy real estate mogul is accused of killing a prostitute. 3. Sandy Cohen in The O.C. 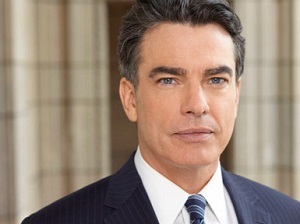 Peter Gallagher plays Sandy Cohen in the television series The O.C. Cohen is a displaced Bronx lawyer who weds a millionaire’s daughter in Orange County. He adopts a troubled teen that he meets through his work as a public defender, the equally handsome Ryan Atwood (played by Benjamin McKenzie). 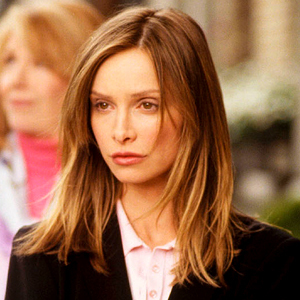 Ally McBeal stars Calista Flockhart in the title role of David E. Kelley’s popular television series. She is the partner at the fictional firm Cage & Fish. The series features many of her (and her colleagues’) romantic pursuits. Breckin Meyer and Mark-Paul Gosselaar play the silly legal duo of Franklin & Bash. You can catch these handsome lawyers on TNT.